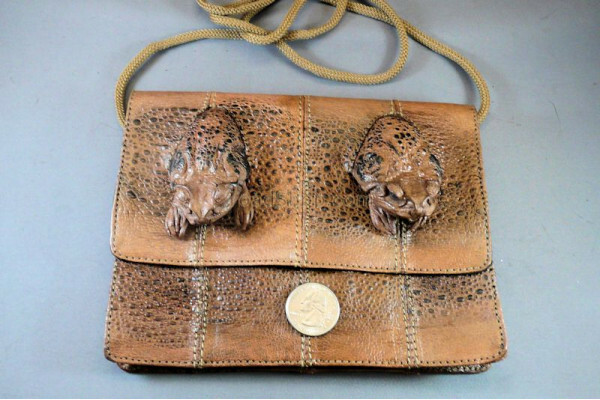 An Australian Cane Toad Purse with two cane toad heads as embellishments. 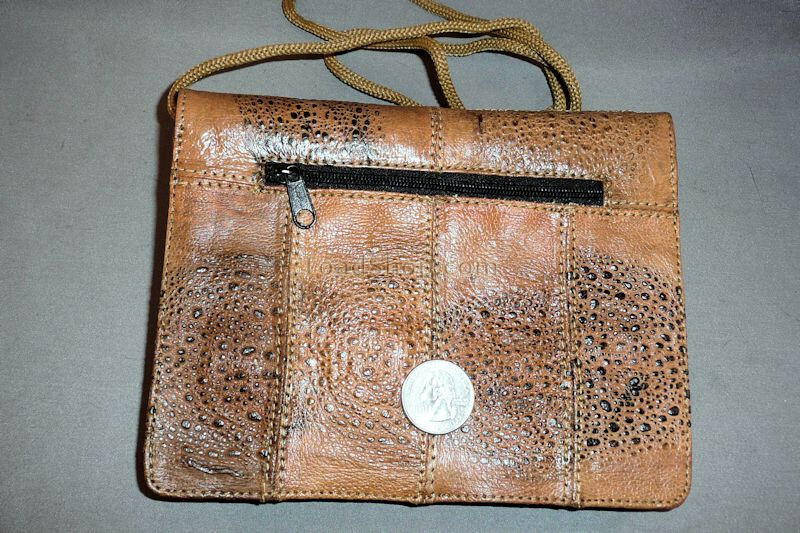 About the same size as our rectangular purse with one head, this purse has a flap closure with the two toad heads on it versus a zipper closure on the rectangular purse. Sure to stop a few people in their tracks when you show them your new purse.